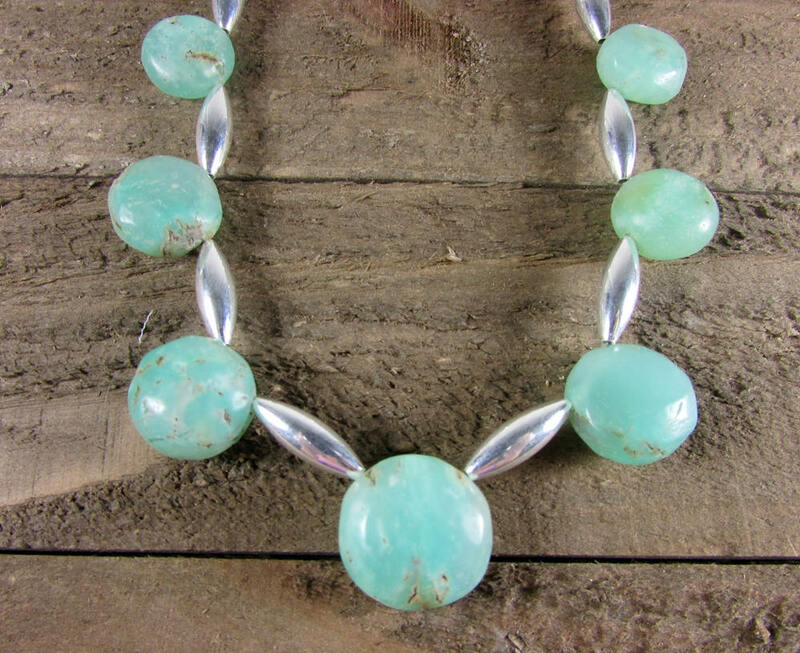 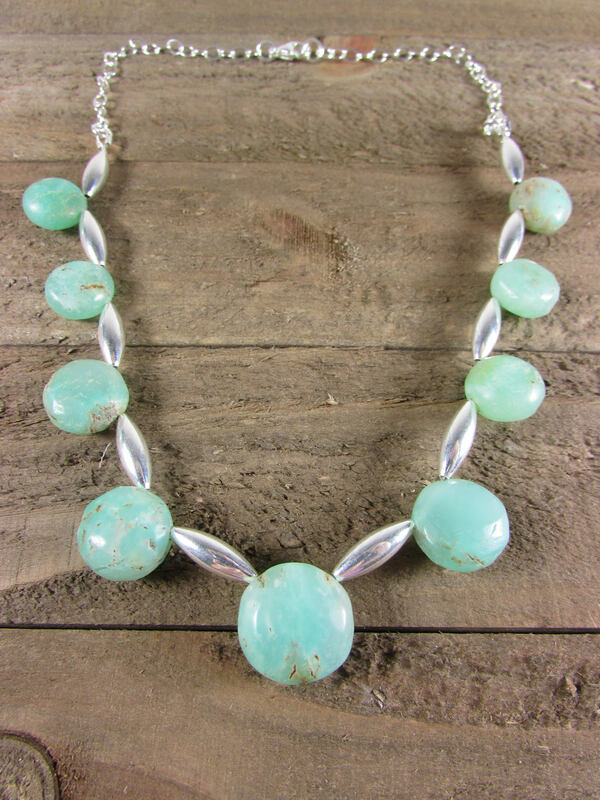 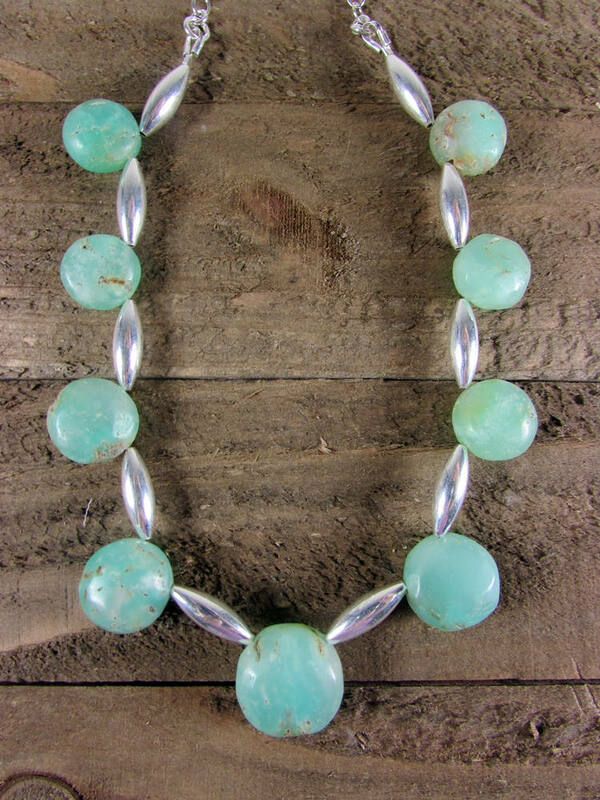 A lovely light green Chrysoprase and sterling silver torpedo bead necklace. 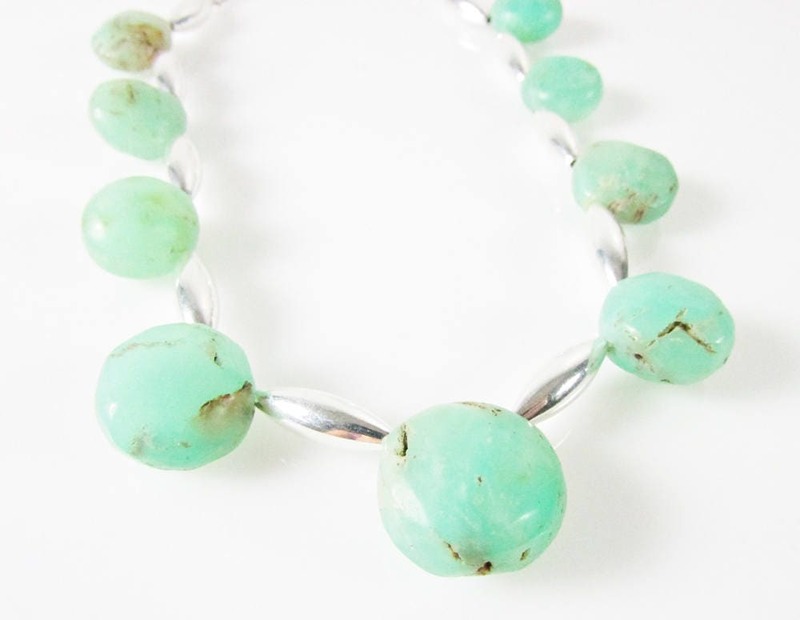 The chrysoprase gemstone a smooth round ranging in size from 18mm to 12mm in size. 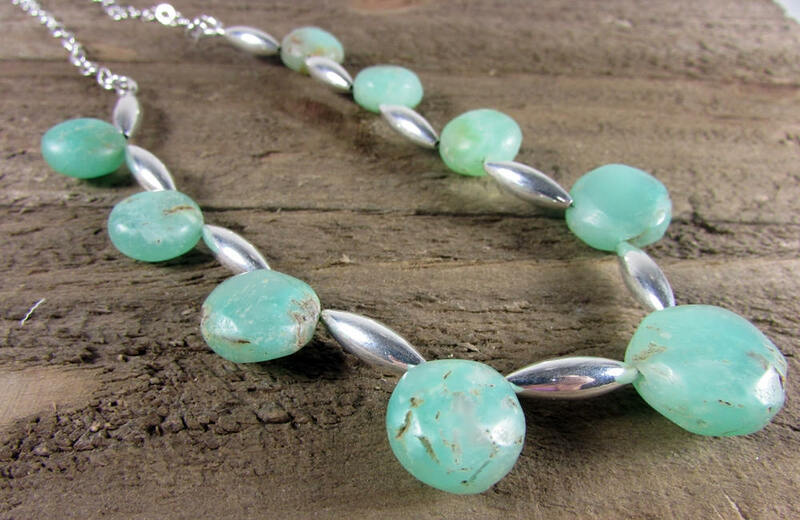 The sterling silver torpedo beads are 5x12mm long and the necklace is finished with sterling silver chain and sterling clasp.